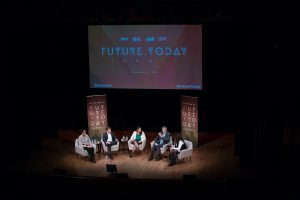 The Future Today Summit is the Institute's annual event discussing emerging technologies and future scenarios. More details coming soon. If you are interested in speaking or sponsoring, please contact us at hello@futuretodayinstitute.com.